In collaboration with Brown Alpert Medical School Office of Continuing Medical Education. The second learning module simplifies the process of determining migraine treatment programs. By its conclusion, you should be confident that you have the skills to manage patients with migraine. Your strategy should include identification and avoidance of triggers, effective lifestyle changes, and familiarity with the pros and cons of interventional and preventive medications and devices. There will be brief reviews of the different options in neuromodulation, CGRP blockers and medical marijuana. For any non-headache specialist healthcare professionals who encounter patients with migraine. The Boston University School of Medicine and the University of Rhode Island College of Pharmacy ask all individuals, and their spouses/partners, involved in the development and presentation of Continuing Medical Education (CME), Continuing Nursing Education (CNE) and Continuing Pharmacy Education (CPE) activities to disclose all relevant relationships with commercial interests. This information is disclosed to CE activity participants prior to the start of the educational activity. Boston University School of Medicine and the University of Rhode Island College of Pharmacy have procedures to resolve any relevant conflicts of interest. In addition, faculty members are asked to disclose when any unapproved use of pharmaceuticals and devices is being discussed. Dr. Godley has disclosed that he is a member of the speaker’s bureau for Amgen. Brian E. McGeeney, MD, MPH, CME Course Advisor is a consultant for Promius and Pernix and stockholder for Pfizer. Marjorie Norquist, RN, MA, MPA, CNE Course Advisor has no relevant financial relationships to disclose. Carmela Townsend, DNP, MS/MBA, RN, Lead Nurse Planner has no relevant financial relationships to disclose. Paul George, MD, MHPE, Independent Reviewer has no relevant financial relationships to disclose. Timothy Osborn, DDS, MS, FACS, CDE Advisor has no relevant financial relationships to disclose. Dan Henry, MD, does not receive grant support, he has been a principal investigator on multiple migraine studies for Allergan, Alder, Amgen & Lilly. Christopher A. Ferreira, MS, PA-C, Reviewer has no relevant financial relationships to disclose. Julie Roth, MD, Reviewer has no relevant financial relationships to disclose. Audrey Tyrka, MD, PhD, Reviewer has no relevant financial relationships to disclose. Holly D. Webster, BSN, MS, Reviewer spouse receives consultation fees from Alcobra, Indivior, Insys, Kempharm, Pain Therapeutics, Pfizer, Shionogi and Teva and is an advisory board member for Daiichi Sankyo, Egalet and Inspirion. Joanna Krause, Grants Manager, and Julie White, Director of Boston University School of Medicine CME, Mary-Jane Kanaczet, Director Office of Continuing Professional Development at the University of Rhode Island College of Pharmacy, and Maria Sullivan, Director of Brown Alpert Medical School Office of Continuing Medical Education, have no relevant financial relationships to disclose. Ashley Barrett, Leigh Serth, and Alicia Torborg of Association of Migraine Disorders have no relevant financial relationships to disclose. This activity has been planned and implemented in accordance with the accreditation requirements and policies of the Accreditation Council for Continuing Medical Education (ACCME) through the joint providership of Boston University School of Medicine and Association of Migraine Disorders. Boston University School of Medicine is accredited by the ACCME to provide continuing medical education for physicians. Boston University School of Medicine designates this enduring material for a maximum of 2.00 AMA PRA Category 1 CreditsTM . Physicians should claim only the credit commensurate with the extent of their participation in the activity. This Enduring Material activity, A Migraine Toolbox: A Practical Approach to Diagnosis and Treatment, has been reviewed and is acceptable for credit by the American Academy of Family Physicians. Term of approval begins 10/16/2018. Term of approval is for one year from this date. Physicians should claim only the credit commensurate with the extent of their participation in the activity. Boston University School of Medicine designates this enduring material for a maximum of 2.00 AMA PRA Category 1 CreditTM . Physicians should claim only the credit commensurate with the extent of their participation in the activity. Approved for 2.00 AAFP Prescribed credits. This educational activity has been provided by Continuing Nursing Education Provider Unit, Boston University School of Medicine and jointly-provided by Association of Migraine Disorders. Contact Hours: 2.00 of which 2.00 are eligible for pharmacology credit. The University of Rhode Island College of Pharmacy is accredited by the Accreditation Council for Pharmacy Education as a provider of continuing pharmacy education. Boston University Henry M. Goldman School of Dental Medicine is an ADA CERP Recognized Provider. ADA CERP is a service of the American Dental Association to assist dental professionals in identifying quality providers of continuing dental education. ADA CERP does not approve or endorse individual courses or instructors, nor does it imply acceptance of credit hours by boards of dentistry. Boston University Henry M. Goldman School of Dental Medicine designates this activity for 2.00 continuing education credit. Faculty member does plan on discussing unlabeled/investigational uses of commercial products. By reviewing the course content and successfully completing the post-test and evaluation, physicians are entitled to receive 2.00 AMA PRA Category 1 Credits, nurses are entitled to receive 2.00 CNE contact hours, and dentists are entitled to receive 2.00 CDE Credits. Statements of credit will be available to print immediately. Your online certificate will be saved on myCME within your Profile/CME History, which you can access at any time. Successfully complete the post-test and activity evaluation. You must score with a 70% or higher on the post-test to receive credit for this activity. For any CME or CNE accreditation questions please email the BUSM CME office at cme@bu.edu. All participants will have the opportunity to evaluate the educational session, speakers and identify future educational needs. A program evaluation must be completed at www.uripharmacycpd.org within 60 days of the program completion date in order to receive CE credit. CE credit will be transferred to the CPE Monitor upon successful completion of the program evaluation. Transfer of CE credit should be verified at mycpemonitor.net where CE statements are available to print. Please refer to the evaluation instructions that follow for completing program evaluations and reporting CE credit. Participants in the online enduring activity should click on Available Online Activities and select the program title of the activity. Select post-test. Enter the program evaluation code. You will receive a confirmation message of evaluation completion and notification that your CE data was reported to the CPE Monitor. 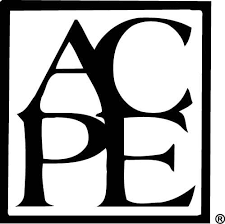 Please note: ACPE will only accept CPE data that is reported by providers within 60 days of the live program date. CPE data is reported immediately upon your completion of this evaluation although it may take 48-72 hours to appear in your CPE Monitor profile. You will be notified of any problems transmitting your participant data via email. Most transmission problems are related to errors in transcribing date of birth and/or NABP ID number. It is strongly recommended that you check your profile in the CPE Monitor to verify your participation in this program has been reported. *Your pharmacy license number, date of birth and NABP ID number are required to create an account in the URI CPD online registration and evaluation system in order to report participant data to the CPE Monitor. Pharmacy license numbers will not be used for any other purpose.